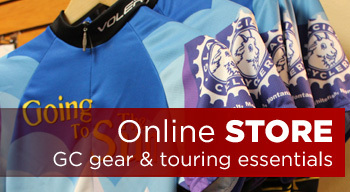 If you are looking for ways to get out on your bike for more than a couple days then you have come to the right place. There are touring routes listed below that are local and just several days long. There are also touring routes listed below than span across the entire country and take several months to complete. If you have any questions about these touring routes we would be more than happy to help you out any way that we can. If you wanted to take a short “mountain bike” tour from Whitefish, we would highly recommend this loop to you. We would load up camping gear because several of the night’s lodging is under the stars, and some food, because you’ll be cooking over the campfire. From Glacier Cyclery head northwest out of town towards Upper Whitefish Lake and make it or Red Meadow Lake your first night’s stay. Glide down into the Northfork on day two and stay at Polebridge where you have the option of camping again or staying at the Northfork Hostel. Order the Flathead Forest map and Section 1 of the Great Divide Route and we’ll mark the route for you to make your trek easier. The off-road route that epitomizes the spirit of the adventure cyclist! 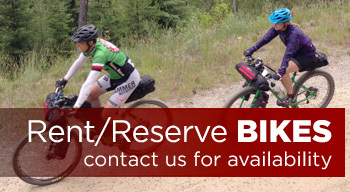 Although Whitefish is 70 miles from the Port of Roosville on the Canadian border, the route’s US starting point, it is the logical staging area for Great Divide riders and Glacier Cyclery the logical headquarters for Great Divide riders arriving to the area. If you begin the route at the border, you will arrive back in Whitefish in 2-3 days. 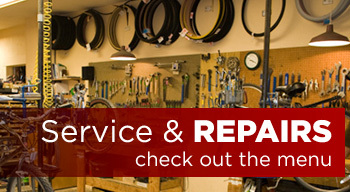 Glacier Cyclery is 4 blocks off the route and a good refuge to seek as you work out the bugs in your equipment. “The Yak” tour is a favorite road tour from Glacier Cyclery and Whitefish. Load up your camping gear and stove because at least three of the days on this route are out of the reach of civilization. We like to make day one a “shake down” ride from Whitefish to Dickey Lake, about 40 miles on or paralleling Highway 93. The Wolf Creek road is a fabulously quiet back road that eventually leads you to the base of the dam on Lake Koocanusa or into Libby. From Libby head north up the Pipe Creek Road into the Yak area. Depending on your schedule and speed this will be about day four of your ride. The Dirty Shame Saloon is the local Yak watering hole and across the street you can stock up on groceries. Our loop then heads west out of Yak and climbs up and up over Porcupine Pass after which you are rewarded with switchback after switchback down to the shore of Lake Koocanusa. After pedaling south you will be able to cross a bridge over the lake to Rexford and Eureka. It’s about a 50 mile ride back to Whitefish from Eureka. This route can be revised to be three long days, or four days, of less mileage. Camping gear, legs, lungs and gumption are requirements for this ride. Order the Flathead Forest map and the North Half of Kootenai National Forest map before asking us to talk you through this ride. This 4,415 mile Adventure Cycling route from Anacortes, WA to Bar Harbor, ME, crosses the northern US, enters Whitefish on Second Street and passes right by Glacier Cyclery. Most self contained cycle tourers arrive 10-11 days after departing the west coast. Whitefish Golf Course signals your arrival to town; continue straight ahead one mile, Glacier Cyclery is on your left, before the first signal light. We are the last full-fledged shop for east-bound riders for over 750 miles until Minot, ND. Or the first one since Minot for those of you who are west-bound. Riders on these Adventure Cycling routes come close to the southern edge of Whitefish. At the junction of the Whitefish Stage road, a trip into Whitefish may add a pleasant diversion to your ride through the Crown Jewels of the US National Park System and fond memories to entertain yourself along the AL-Can. Hwy. A 1-week to 10 day favorite of self-contained cycle tourists and tour group operators alike, we highly recommend this trip for the stellar scenery of the International Peace Parks, Glacier in the US and Waterton in Canada. This loop crosses the Canadian Rockies over Crow’s Nest Pass in Southwest Alberta before entering the US at the Port of Roosville and following Hwy 93 into Whitefish. The length of this tour fits a two week vacation nicely, beginning and ending in Whitefish. Rent our 2018 Kona Rove NRB touring bikes for this adventure and make it a no hassle trip!